Before moving to northern Virginia in 1998, Lisa was a contract buyer for Illinois Central Railroad and also a tableware consultant for the bridal industry. She and her family relocated to the DC area in 1998. 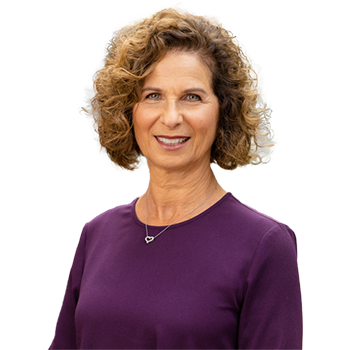 Prior to joining Washington Fine Properties, Lisa was a high-producing member of a nationally recognized real estate team in McLean, Virginia. She successfully represents both buyers and sellers. Lisa's professionalism, integrity and tireless work ethic have gained her the respect and trust of colleagues and clients alike. Lisa and her husband Clay have two grown daughters and live in McLean, Virginia. We had the privilege of working with Lisa as our realtor when looking to purchase a home in Reston, VA. As first-time home buyers, we were really not sure what to expect or do during this process. Lisa did a great job educating us and was very patient, answered all of our questions and was with us in every step of the buying process. In a highly competitive market, Lisa stayed positive and hopeful throughout the process. She was extremely responsive to e-mails and was available to see a property at a moment�s notice. She was very honest and supportive. She never forced her opinions on us; instead, she gave us the space and opportunity to discover and learn on our own. Lisa was with us the whole time, all the way to signing the papers. She made it an enjoyable experience from start to finish. We absolutely loved working with Lisa and would highly recommend her to anyone who is looking to buy their home. It is with great pleasure and gratitude that I recommend Lisa Parcells as a real estate agent for any individual or family selling, buying or renting a new home. My circumstances were difficult: I was tasked with selling a large home (at the holidays) and finding a smaller home to rent within a close time frame as my resources were limited. Lisa helped me get my home ready to show in record time � recommending how to stage the rooms, getting the gorgeous pictures and brochures done quickly, and even helping to rearrange the garage! My home did sell quickly (thanks to Lisa and her spot-on listing price), and without missing a beat Lisa showed me everything to rent within my price range (she knows the area like the back of her hand). I love what she found (it was not fully listed in the MLS but was coming soon). Moving under any circumstances is challenging, and Lisa was upbeat, encouraging and gracious, all the while maintaining a professional integrity second to none. I have bought and sold several homes but never quite as efficiently or painlessly, thanks to Lisa. I would recommend her highly and would be happy to discuss my experience in more detail. Lisa can provide my contact info.